Proclaimed “Baseball’s Best Centerfielder” on a 1968 Sports Illustrated cover, three-time All-Star Curtis Charles Flood played 12 seasons for the St. Louis Cardinals. Flood won seven straight gold gloves from 1963 through 1969, hit .293 for his career and helped the Cardinals win the 1964 and 1967 World Series. Flood sued Major League Baseball when he was traded in 1969, asserting, “I do not feel I am a piece of property to be bought and sold irrespective of my wishes.” The legal battle effectively ended his playing career. 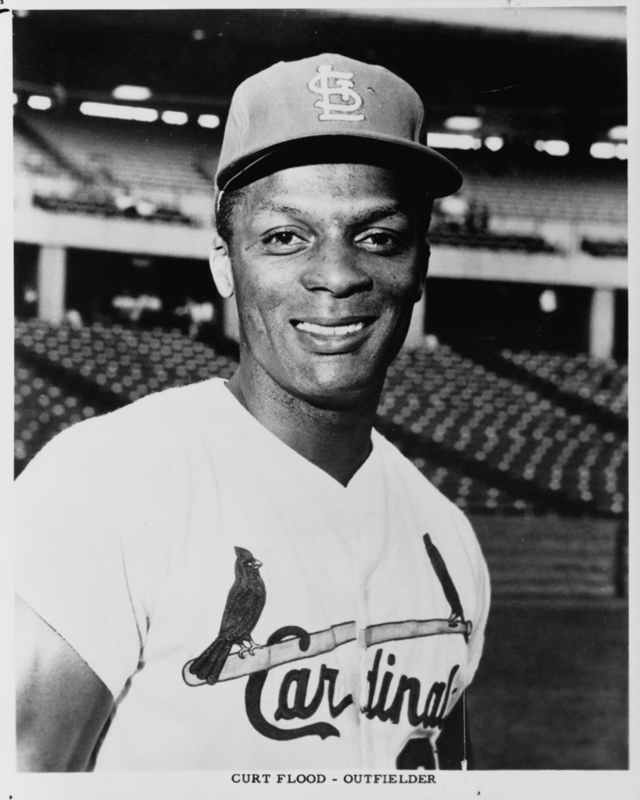 The U.S. Supreme Court ruled against his suit in 1972, but Curt Flood’s stand helped the players win free agency in 1975, and passage of the Curt Flood Act in 1998 limited baseball’s antitrust exemption.